The Zune is Microsoft's new media player. It does music. It does video. It does pictures. Are you ready to get the most out of your Zune? Do you know the best methods and secrets for managing your media, loading up your player, and sharing your data with others? Do you know which accessories are vital and which are not? Do you know how to hack your Zune to work around Microsoft's built-in limitations and take your Zune to the next level? 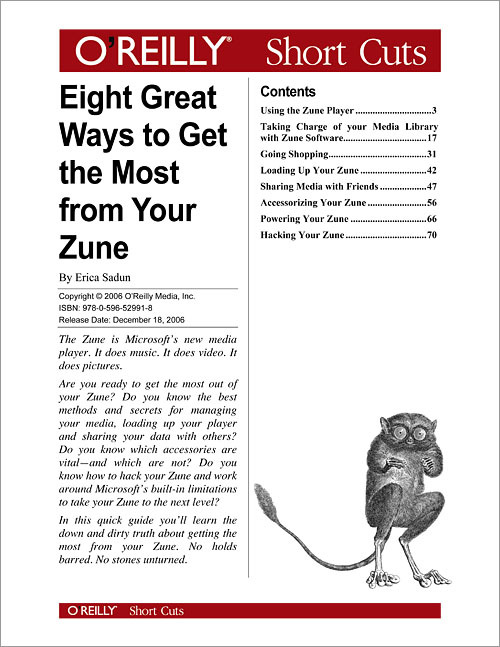 In this quick guide, you'll learn the down and dirty truth about getting the most from your Zune. No holds barred. No stones unturned.